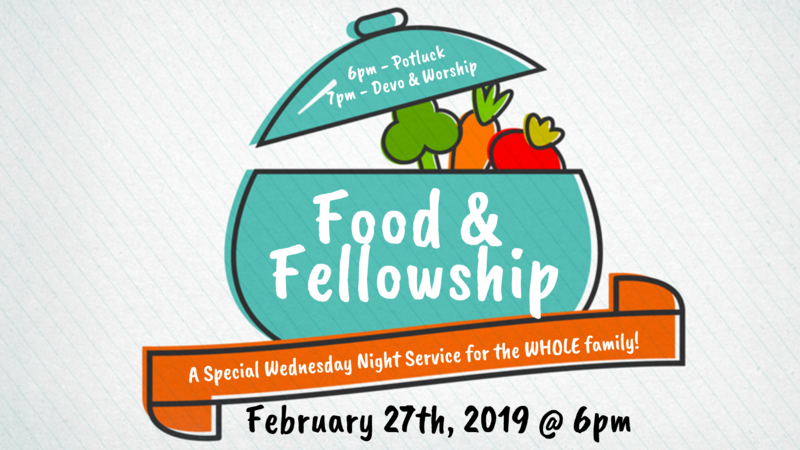 We are so excited about our very first Food & Fellowship night! In 2 weeks we will be gathering together in the sanctuary for this ALL church soup and bread potluck. At 6:00 pm we will break bread and at 7:00 pm we will have a time of worship and a short devotional from Pastor Tim. Plus our Caravan troop will be receiving their completed badges! So much fun packed into one night! If you are interested in bringing soup or bread and have not signed up yet, find the clipboard in the hallway or contact the church office!